This is where writing began for me. I love the rhythm of poetry. Here, through rhyme, the “JoyfullyAlive in Him” story is told. I hope you enjoy, and I look forward to your response to any poem that touches and/or encourages your heart or that of those you’ve been inspired to share joy with. I pray that you do live a life that is courageously and contagiously full of life and joy, as you dance to the rhythm of God’s grace. Now, there is much today written about leadership. I don’t claim that what I have to write on the topic is a new outlook, but I will say that it is one that my heart burns for. In my short 34 years, I’ve seen and experienced many things under the sun. My highly analytical, introspective mind has taken inventory of much of what I saw in the way of leadership. I’ve had many paradigm shifts throughout the years, and anticipate more… For one, I’ve realized that we are born with different temperaments and our leadership doesn’t have to follow a cookie-cutter’s mold, but as disciples of Jesus our leadership should ALWAYS point to Him as the big deal. And that’s what I love most about John the Baptist’s “leadership”, if you will. There is a fire inside of me for the type of leadership that contains the John the Baptist spirit. What is that spirit? In my view, it is the spirit of a forerunner whose focus is not on him or herself, but on the One for whom s/he is preparing the way: Jesus. As much as we can paint the picture of what will help us cultivate a JoyfullyAlive existence, I can not ignore the fact that there are things that can stand in the way. Besides, we have an enemy who has come to “steal, kill, and destroy”. We can’t be ignorant of His devices and the deceitfulness of our flesh. Here I will shed some light on the darkness of folly and how it can steal, kill, and destroy the abundant, God-glorifying life of joy Jesus came to restore. 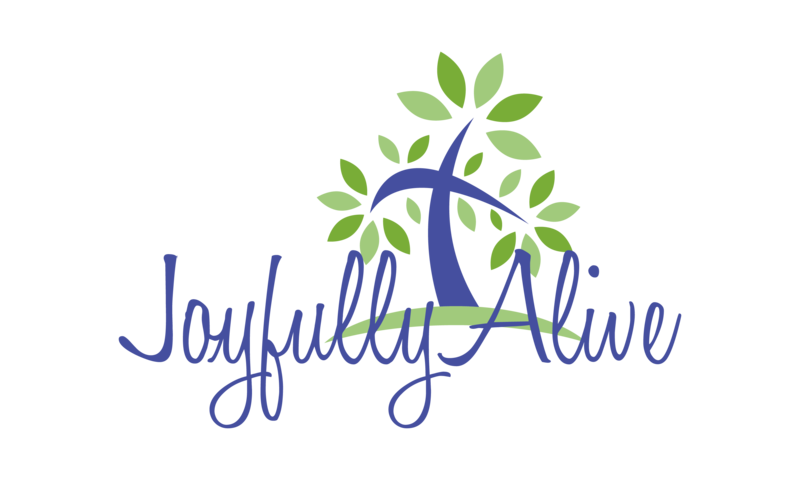 What’s the point of exposing Joyfolly without encouraging one to live Joy-fully alive in Christ! That’s precisely what I set out to do through the poems and prose within this category. As a dear pastor once taught me, “There is only one lasting strategy to overcome wrong desires: awaken the right ones.” One of the those “right” desires is to live joyfully alive in Christ. I learned an important lesson, albeit late, but once I did it made the world of difference in what I choose to “sow” into my life. Here it is: My Christian walk is not about tacking on rules of do’s and don’ts, but it is about choosing what will produce life in the end. And we all know who can lead us to the Way, the Truth, and The Life Himself. (If you don’t, please stick around. This site will prayerfully point you to Him.) This category is geared towards all that helps us to sow what will reap life and not destruction: life in our friendships; life in our careers; life in our parenting; life in our dating or marriage relationship, life in all the areas of our living. Eternal life starts now, and that is why Jesus came. He wants to restore the union with God that was severed by sin. Here I’ll share with a single intent: to encourage us all to sow what will lead to a harvest of righteousness, peace and joy in the Holy Spirit. Just like the Israelites had a choice in Deuteronomy 30:19-20, so do we. So choose to sow what will lead to life, and I hope this section will encourage you towards that end. Let me know how it does! I’m thankful that when I came to know Jesus, He began to reveal that I am not alone. I don’t have to pull myself up by my own bootstraps. He would be there to encourage and guide me as the Good Shepherd that He is. Eventually much of the encouragement and guidance He inspired came through people who intentionally invested in my life. God used them to “AMP” or amplify His direction for me through their Casta of love, words of encouragement, and godly example. I believe wholeheartedly that He is always trying to lead us down the right path–the path that will result in His greatest glory and our fullest joy! The question is: Are we listening? Are we following? The name iAMP stands for Intentionally Active Mentoring and Parenting. The “i” also stands for a verse in Isaiah 30: 20 “Although the Lord gives you the bread of adversity and the water of affliction, your teachers will be hidden no more; with your own eyes you will see them. 21 Whether you turn to the right or to the left, your ears will hear a voice behind you, saying, “This is the way; walk in it.” The vision for iAMP is still very embryonic, but it is through posts in this category that I long to share the heart behind hopes for inspiring a culture of parents and mentors who are intentionally amplifying the ways of God in the lives of their children and mentees. Led by the Holy Spirit their words and deeds echo: “This is the way; walk in it,” all the while equipping them to hear God’s voice for themselves. Besides, God doesn’t want to merely speak through a prophet or priest (as in days of old) on our behalf. Nor does He simply wish to speak through preachers and pastors today (though their ministry is to shepherd and equip the saints), but He also wants to speak to us directly. We are the temple of the Holy Spirit. The veil of separation has been ripped supernaturally, from top to bottom. He’s made a way for us ALL to approach His throne of grace boldly for ourselves. iAMP is an intentional way to encourage this and the next generation to live a life where the chief aim is to glorify God as we walk in step with His Voice. Stay tuned to ways we can all increase the spiritual volume as we intentionally AMPlify God’s heart of love towards every one we have the privilege to shepherd in His ways! 1 Timothy 5 reads: 8 But if any do not care for their own, and especially for those of their own house, they have denied the faith and are worse than unbelievers. Here Timothy doesn’t mince words. I love these strong words, especially in light of the state of our families today, even those of professing believers. Is Jesus Lord of the ways we love our family? In a society where family is pushed to the back burner in “pursuit of happiness”, disciples of Jesus should live differently. Jesus indicted the Pharisees for such behavior. He said that they worshipped Him with their mouths but their hearts were far from Him. Their teachings were but rules taught by man. Why? Because they nullified the teachings of God for the sake of what was convenient for them–their manmade traditions–which replaced love for lip-service. We’ve all heard the stories of Sunday’s being the most stressful time for families. Corralling an entire household into a van and off to meet and worship the Lord in a “holy temple” can be taxing on the soul. (Forgive the verbal irony.) That’s why I love the paradigm shift that we cannot “go” to church, because we ARE the church. We are not going to a “holy temple” to meet God. Wherever two or more are gathered in My name, there I will be, Jesus says(Matthew 18:20). Another place it says that we are the temple of the Holy Spirit. So, with that in mind, how can we commune together as a temple /ˈfam(ə)lē/ within the walls of our homes? Our homes can be where God meets us and fills us with more of His righteousness, peace and joy! Yes, we can leave our homes “in pursuit of happiness” at our jobs, theme parks, etc., but as a family we can experience something of greater breadth and depth: Joy! JoyfullyAlive in our families? What a concept! I pray that this becomes more than just that. I pray that it becomes our reality, in Jesus name! He changes dysfunctional to functional when we recognize the call to be a temple /ˈfam(ə)lē/, hospitably inviting people into our homes to “taste and see” that our Lord is good. Perfection is plastic, so here I ask God to help us remove the plastic facade that we all wear at times to mask our “imperfect” reality. In its place may we live a different reality where though imperfect at best, we are being perfected in ways that go deeper than what meets the eyes–perfected in our hearts and minds. From glory to glory, He will complete the good work He’s begun by His amazing grace, rendering us more and more JoyfullyAlive in Him in the process. Now, there is nothing plastic about that, and Holy Spirit is perfectly fit for the task! As I set out to write this page, I began to feel a bit overwhelmed and nervous, thinking: Hmmmm, I’ve sorta set a high bar. How am I going to carry this through? And that is precisely why I felt the nerves and overwhelming sense. I can’t do any of this. I needed to be reminded that it is God working through me that will. And you know what? That is so liberating…so relieving. JoyfullyAlive is not about revealing Marissa to you. It is about pointing you to the One who has given me life and joy that is increasingly becoming more full as I continue in Him. PS: Please feel free to contact me. I look forward to hearing from you.